New Delhi : The Vishva Hindu Parishad (VHP) on Sunday held a motorcycle rally here to send out a message about a "Dharam Sabha" being organised by them on December 9 to put pressure on the Narendra Modi government to facilitate early construction of a Ram temple in Ayodhya. 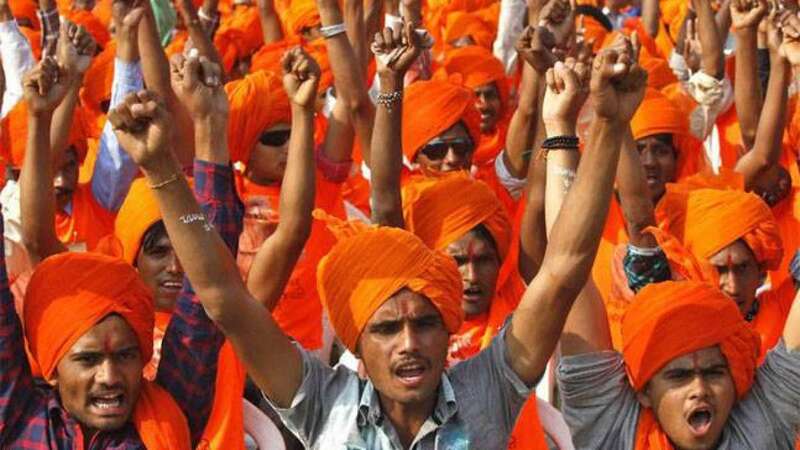 Hundreds of VHP supporters went through various residential areas on motorcycles raising slogans "Ramlala hum aaenge, mandir wahi banaaenge", and organised meetings. "Around 2,000 Lord Ram devotees participated in 148 separate motorcycle rallies. Several meetings were organised at the end of rallies in which the participants took a pledge to make the December 9 'Dharam Sabha' (in the national capital) a successful event," VHP media organiser Mahendra Rawat said. The VHP, an affiliate of the Rashtriya Swayamsevak Sangh (RSS), has planned to hold a "Dharam Sabha" (congregation of Hindu priests) at the Ramlila Maidan here, two days before the crucial Winter Session of Parliament, scheduled to start on December 11 and continue till January 8. Rawat said approximately 10,000 buses, carrying people from 2,100 colonies in Delhi would reach the Ramlila grounds to make the event a successful one. "To garner public support, the VHP along with social workers will also organise 'Prabhat Pheri'," he said. In a meeting in south Delhi's Lado Sarai area at the end of one of the motorcycle rallies, VHP National Vice President Champat Rai said the Muslims should honour Islam and take back their Babri Masjid case. "This case is not only of 25 years, it is a 500-year-old matter. Lord Ram's birth place can neither be separated nor exchanged. A grand temple will be built at the same place," Rai said. In another meeting in west Delhi's Nangli village, VHP Spokesperson Vinod Bansal said: "Only those get an opportunity to sit in parliament who will help in building Ram temple. Temple building is more important than visiting there and performing prayers." VHP leaders organised similar meetings of Hindu religious leaders at seven places on November 25, including Ayodhya, Nagpur and Mangaluru, to put pressure on the Central government.